In the Curious City: Happy Easter! 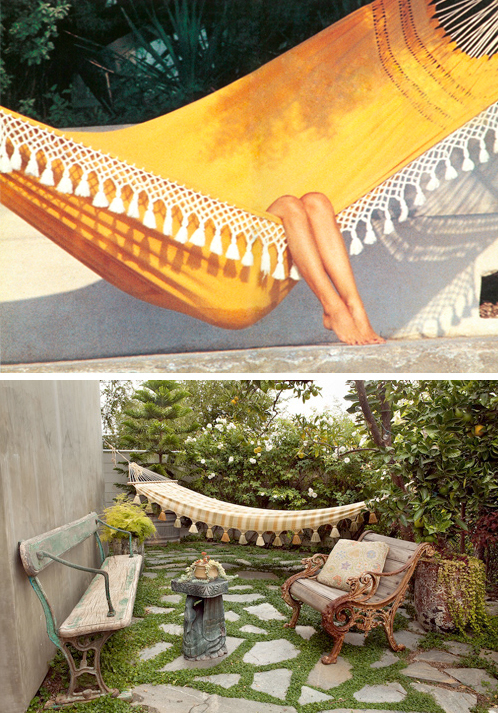 Tasseled hammocks, above! So fabulous. That's really the most appropriate adjective. Sewing - either seat cushions or pillow cushions. A matinee movie? Brunch? Endless possibilities for a glorious Saturday! Easter Sunday = passing out eggs and family time!